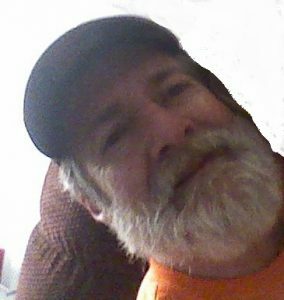 James Dean “Crow” Fouts, 58, of Tippecanoe, Ohio, passed away on Thursday, August 23, 2018, at Aultman Hospital in Canton, Ohio. Born August 3, 1960 in Dennison, Ohio, he was a son of the late Frank Eugene and Norma Jean (Roberts) Fouts. Crow was a lifelong resident of Tuscarawas County with the exception of the three years he spent proudly serving his country in the U.S. Army. He enjoyed golfing, fishing, darts, pool and barbequing. Above all else, he loved being with his friends and family, especially his beloved wife, Anna. On March 9, 1991, he married the former Anna Mary Beamer who survives him. Crow is also survived by children, Derrick (companion, Ashley) Beamer and Jamie (companion, Adam) Beamer; grandchildren, Jeremiah, Tanner, Kaleb, Adrien, Cashlyn and Xaris; brothers, David (Darlene) Fouts, Dwight (Anita) Fouts, Danny Fouts and Fritz (Tammy) Fouts; and many nieces and nephews, as well as his beloved dogs and cat, Harleed, Max and Bibsy. Pastor Florence McNutt will officiate a funeral service at 1:00 p.m. on Tuesday, August 28, in the R.K. Lindsey Funeral Home in Dennison. Visitation will be 11:00 a.m. to 1:00 p.m. on Tuesday at the funeral home. In lieu of flowers, memorial contributions may be made to his family in care of the R.K. Lindsey Funeral Home, Inc., 26 Grant St., Dennison, OH 44621-1269, to help defray the cost of his final expenses. R.K. Lindsey Funeral Home, Inc.